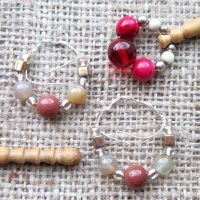 This set of four bronze stitch markers will help you keep track of your pattern while knitting. 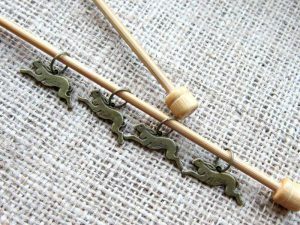 The hare charm on each is attached to a 10mm bronze ring. 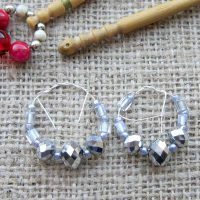 They will freely slip onto an 8mm diameter needles which is a UK size 0 or US size 11. The charm is approximately 8 x 26mm.